Ginny's piece came with a roll up shark and turtle. 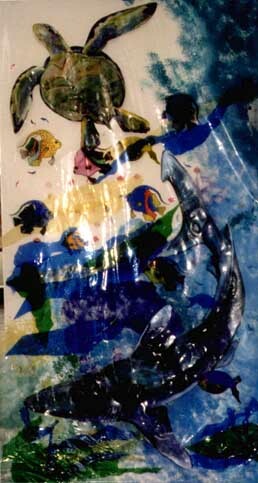 The giant aquatic creatures were unfurled before the children's eyes and stuck up onto the vinyl sea, just like color-forms. 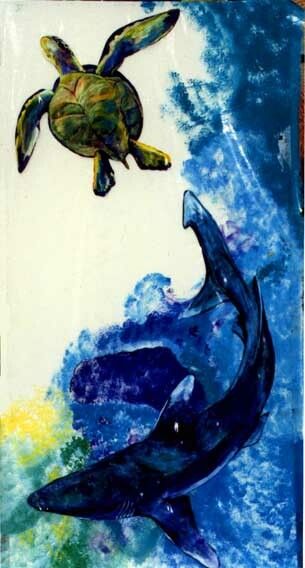 Since then, the turtle and the shark have taken turns jumping off their sea home and onto the windows of the real world.o libraries and businesses.